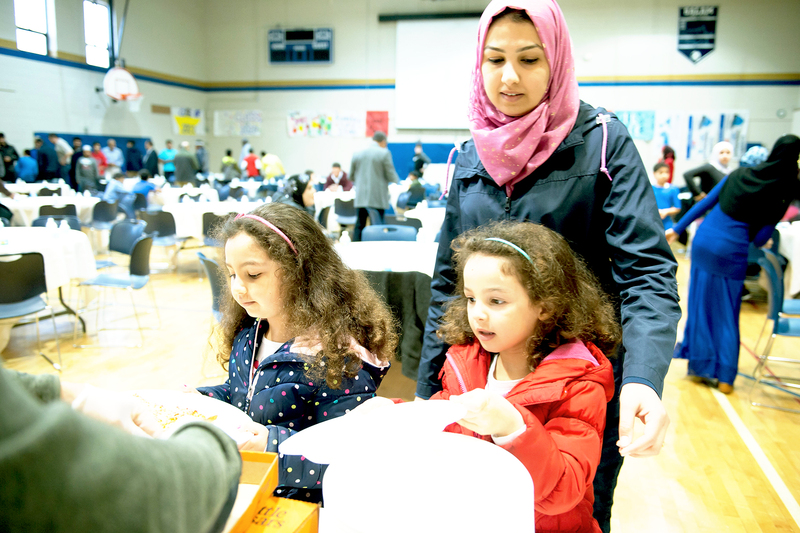 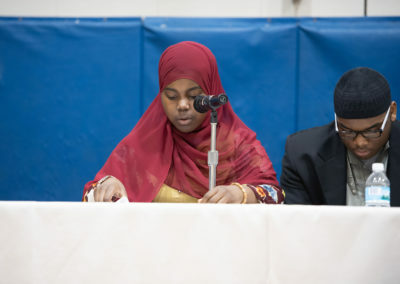 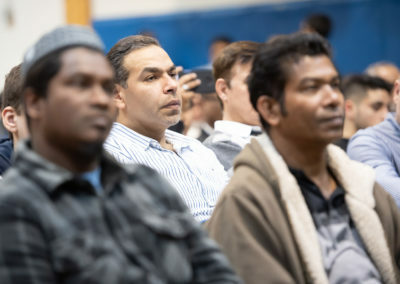 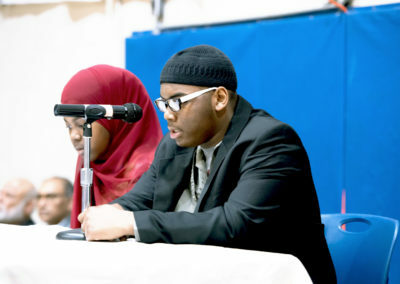 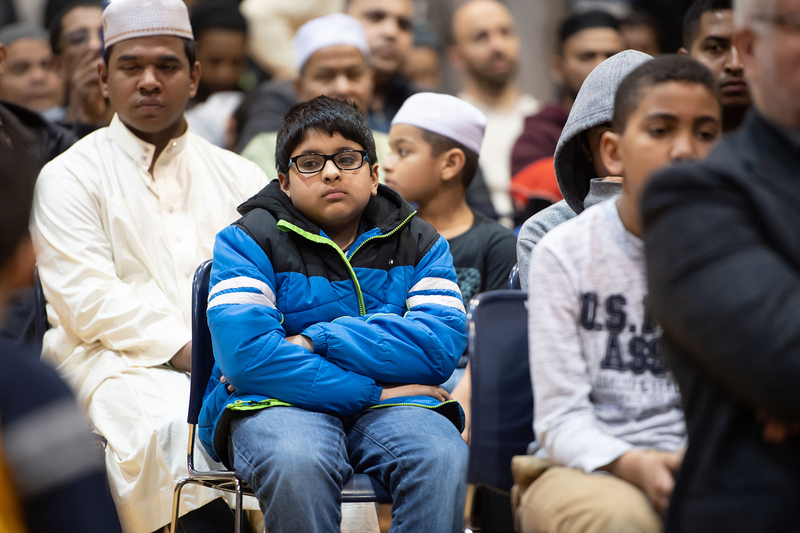 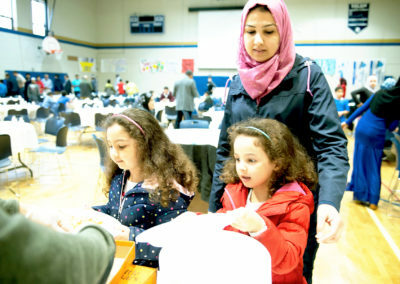 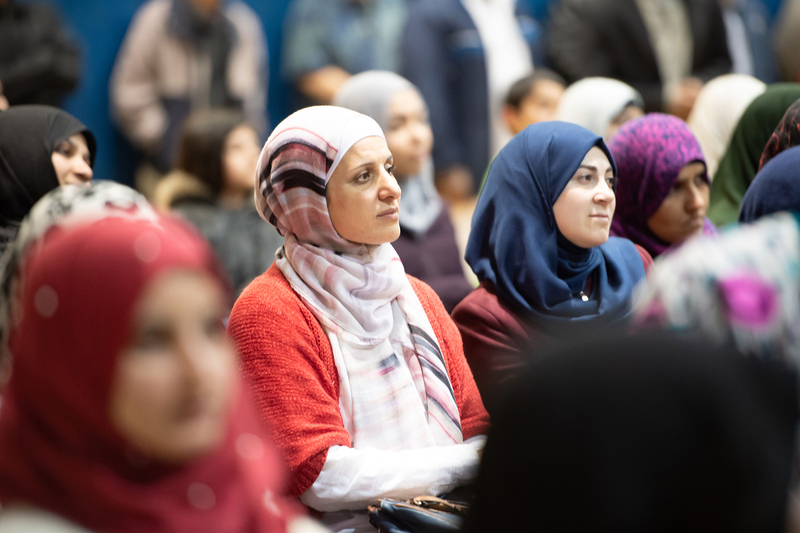 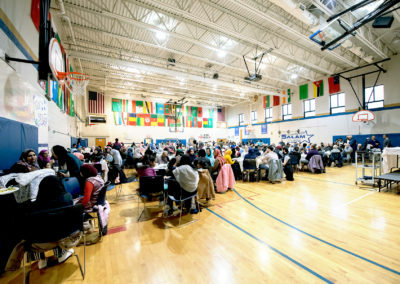 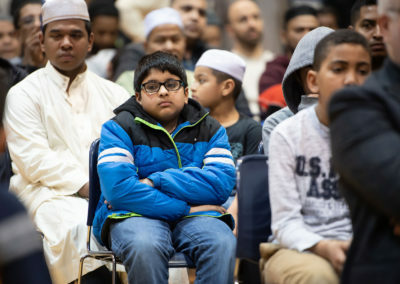 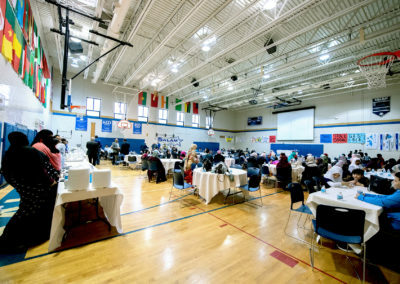 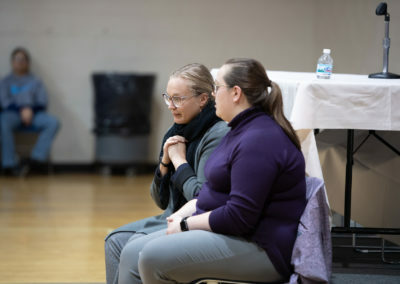 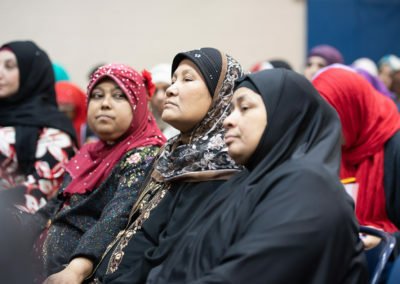 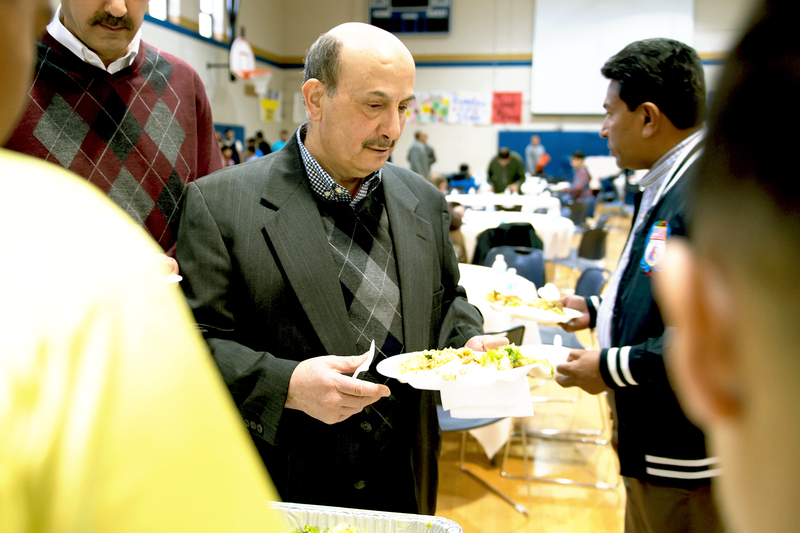 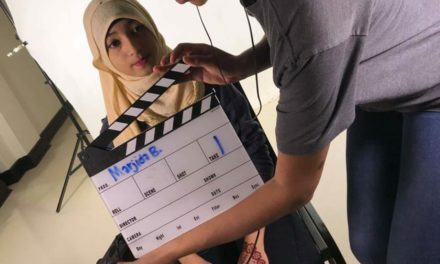 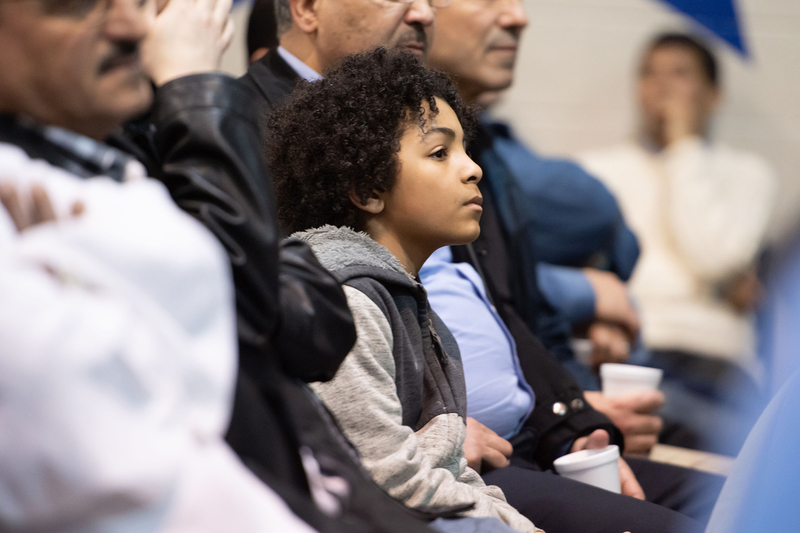 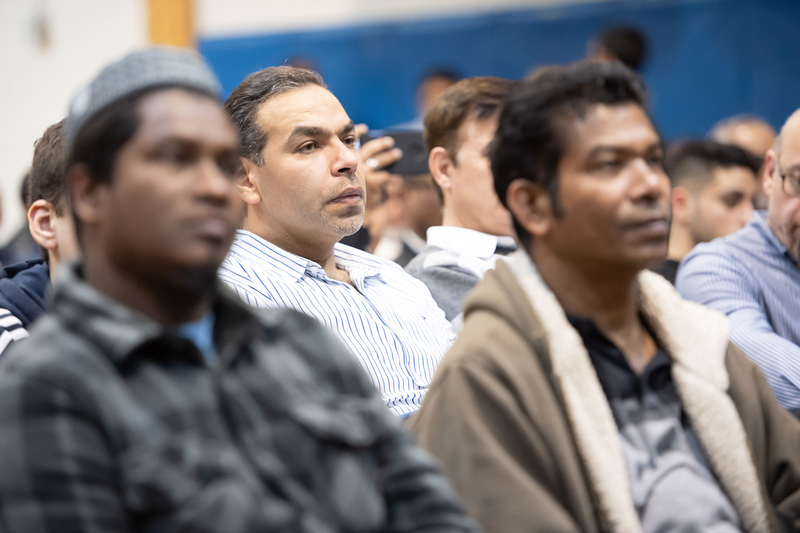 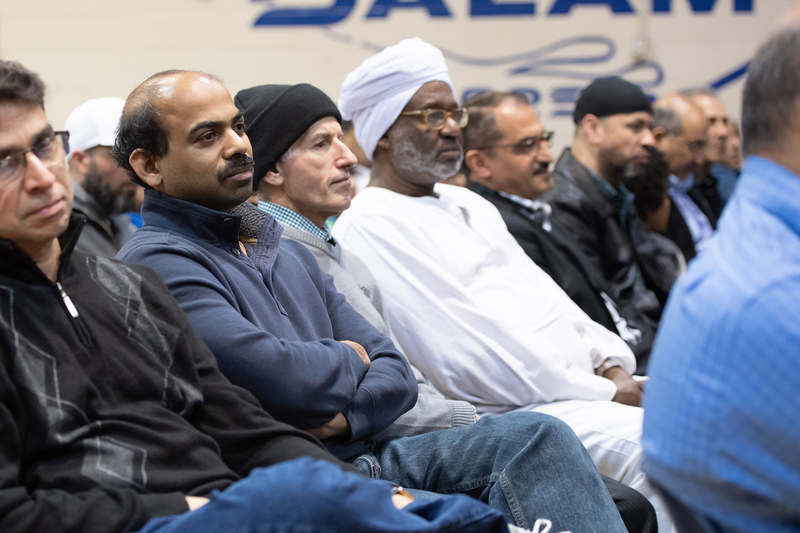 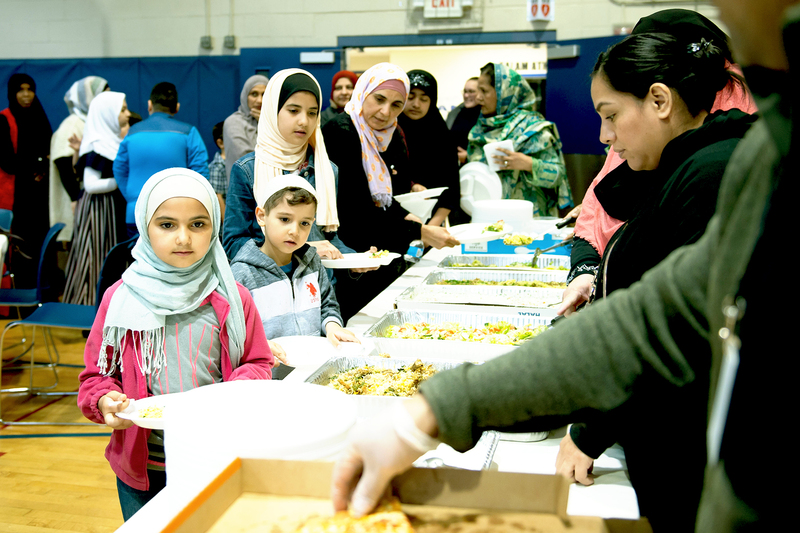 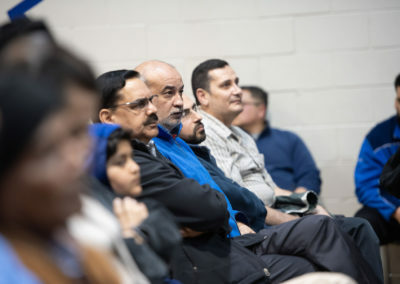 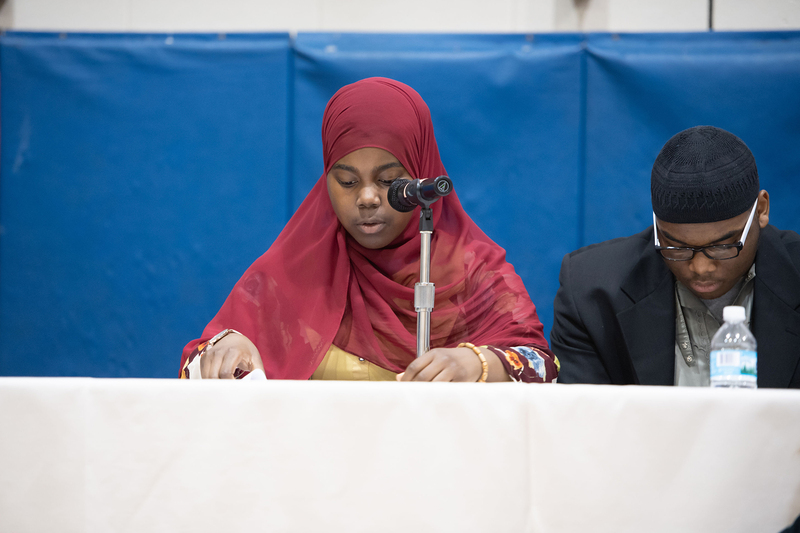 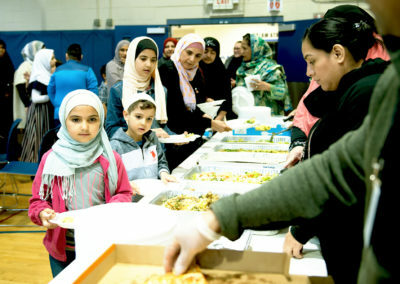 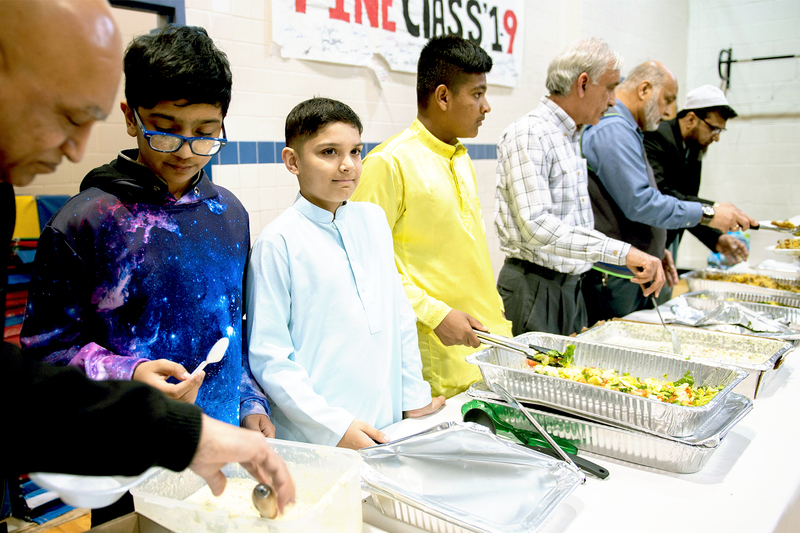 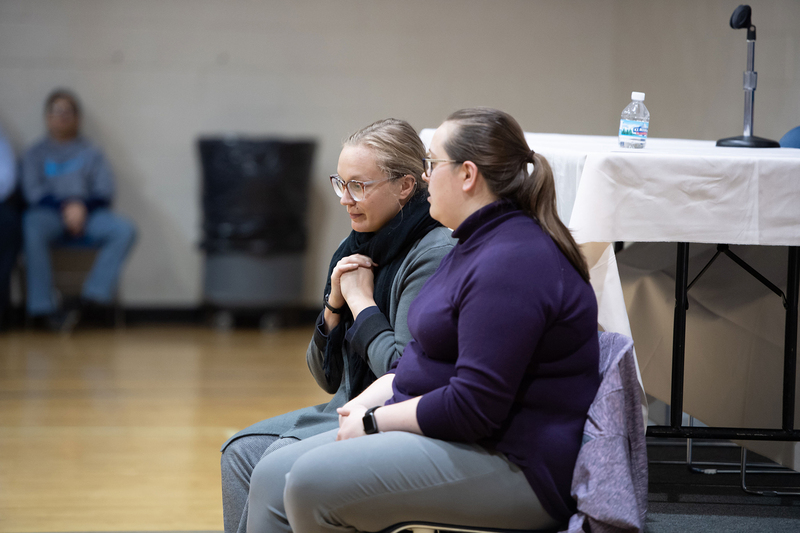 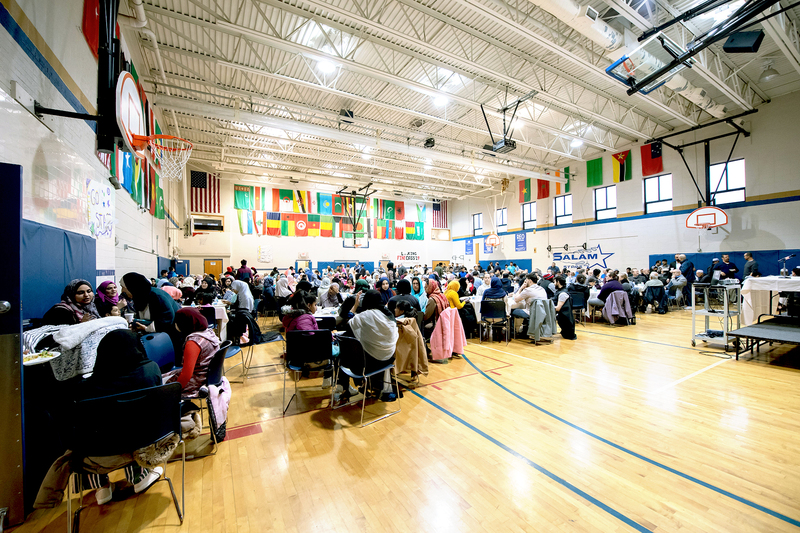 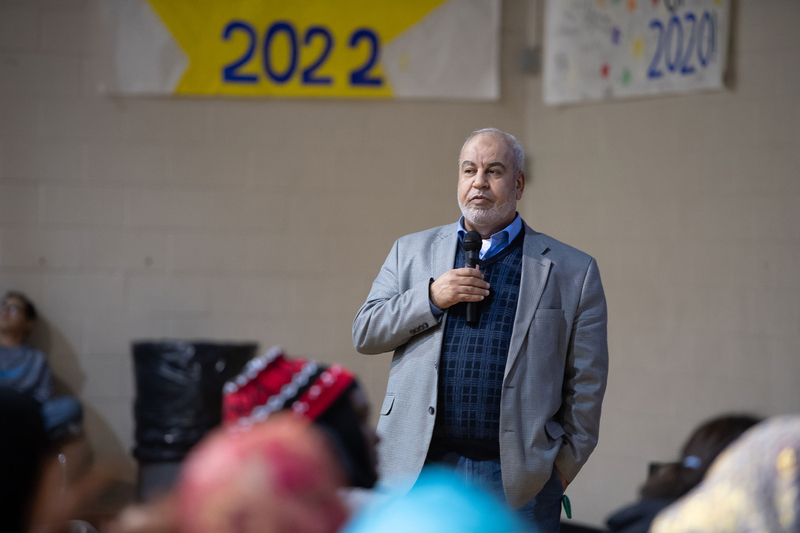 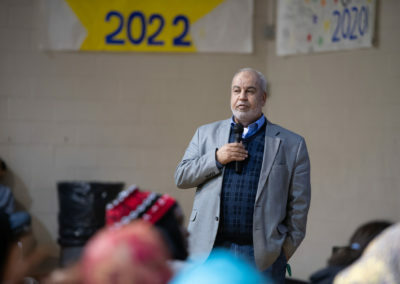 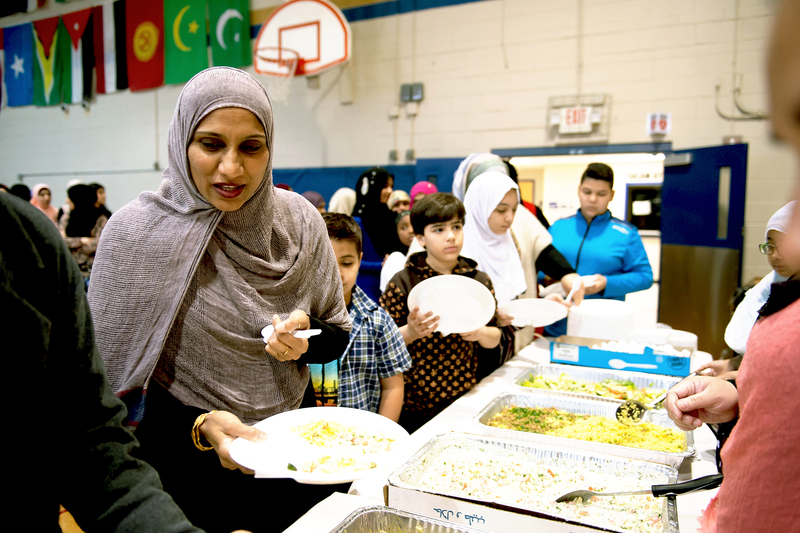 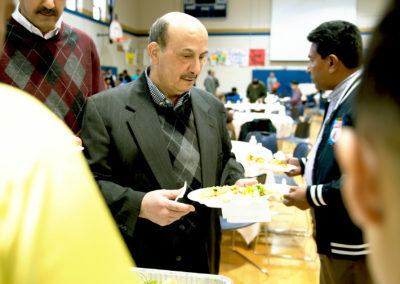 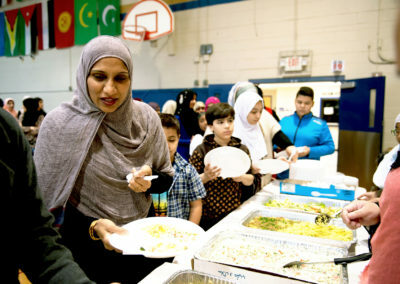 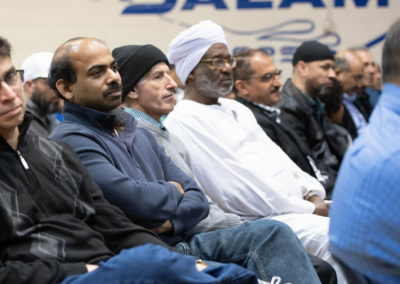 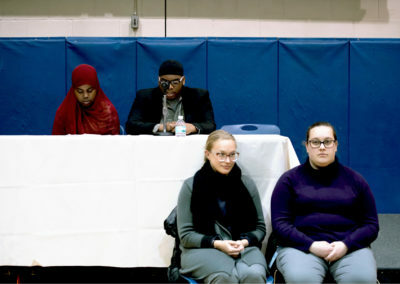 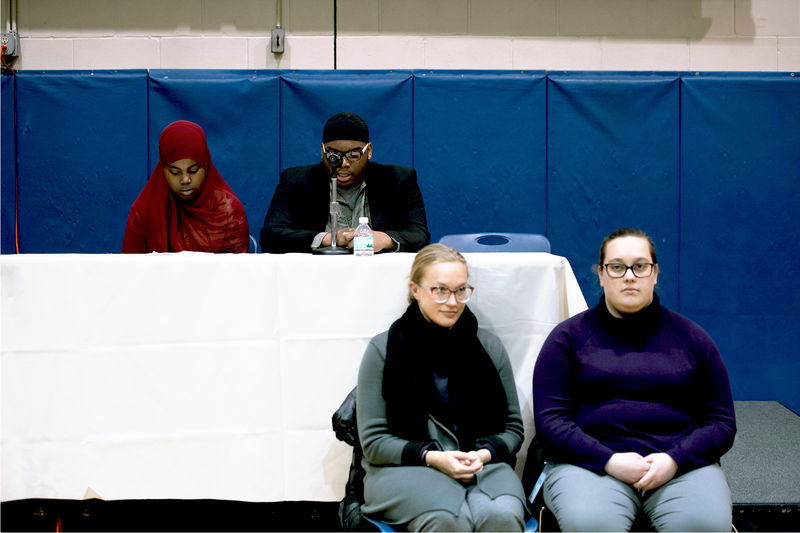 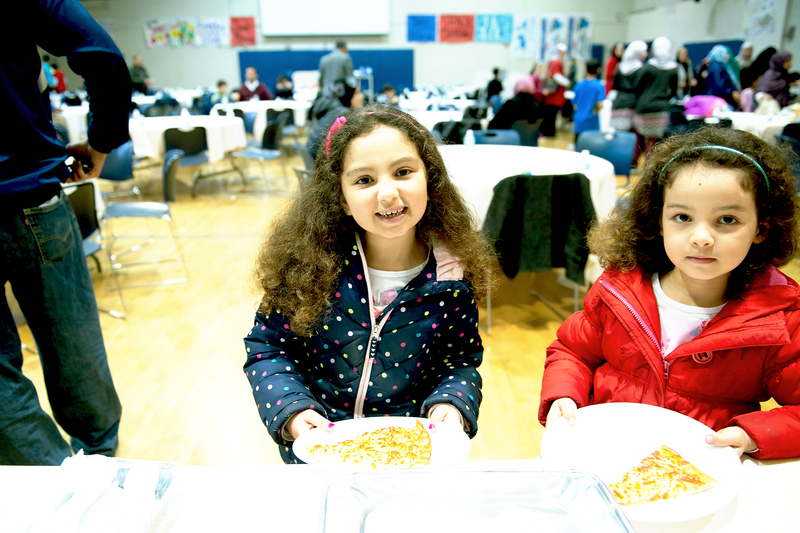 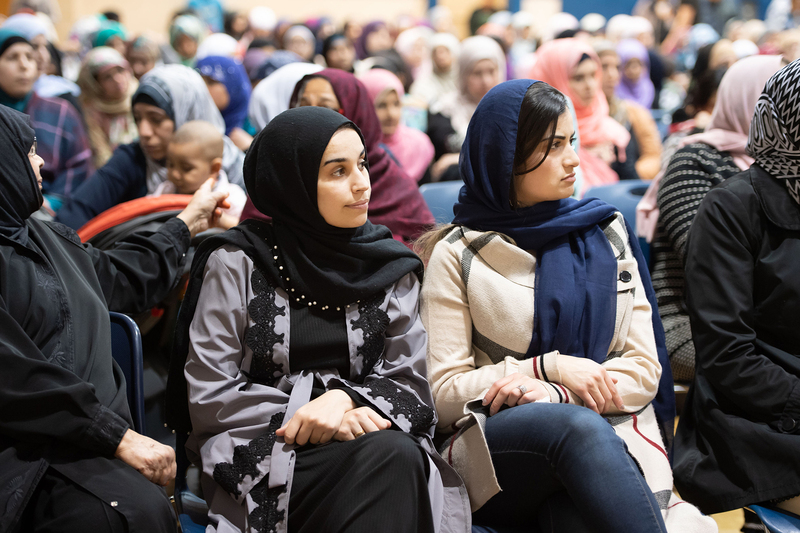 This last Sunday, on April 7th, hundreds of Muslim streamed into the Islamic Society of Milwaukee gymnasium, families and individuals representing the tremendous diversity of Milwaukee’s Muslim community. 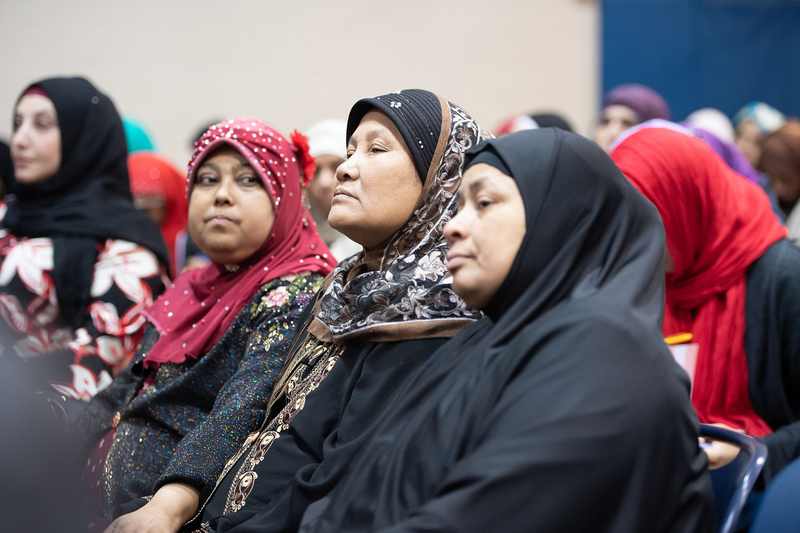 They came to commemorate one of the most important events in Islamic history, known as the Isra’ and Mi’raj, an event that has forever cemented the Muslim faith with Jerusalem and Al-Aksa compound. 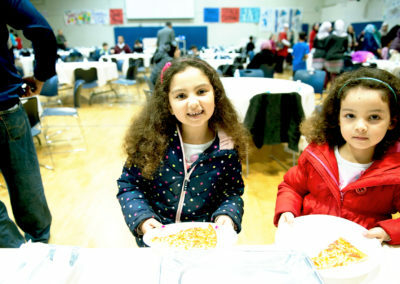 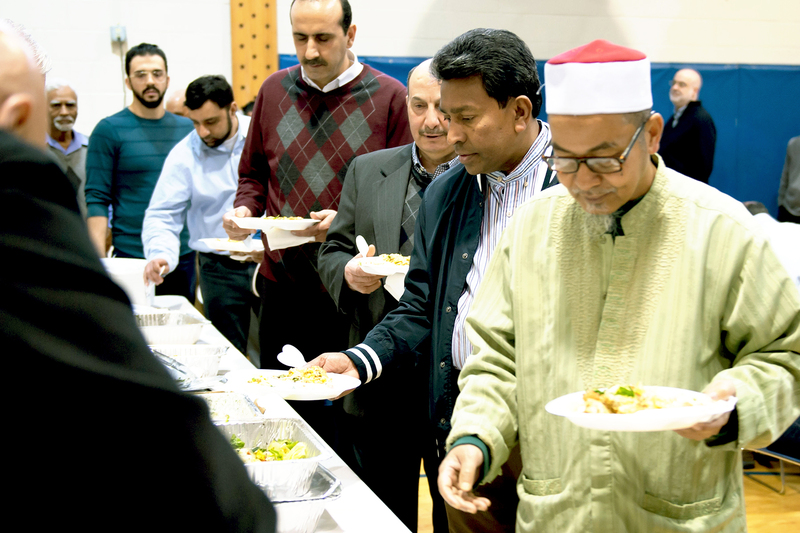 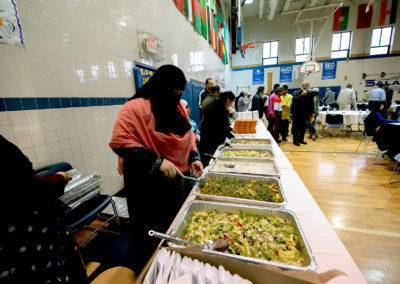 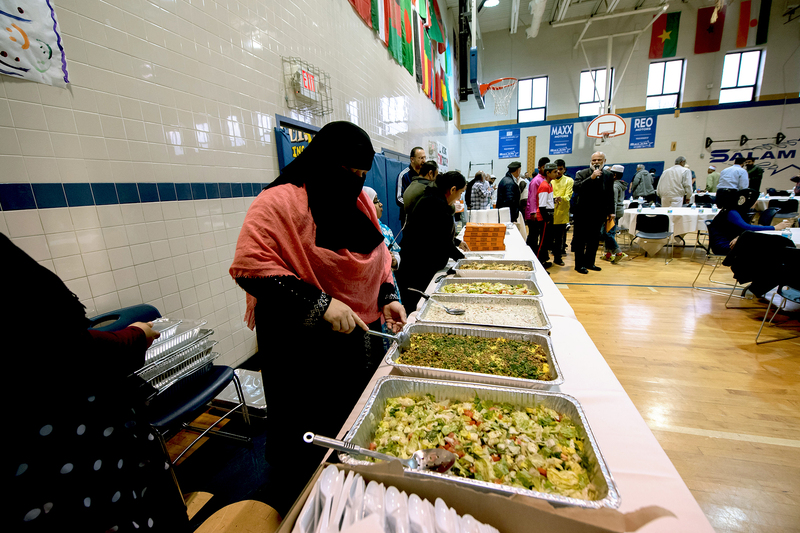 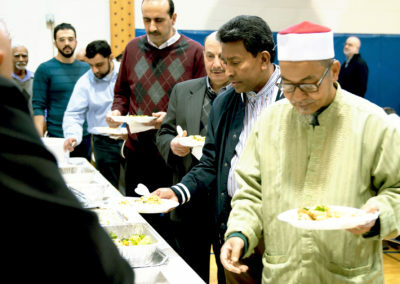 The large crowd began by sharing a meal together, a known aspect of Muslim tradition. 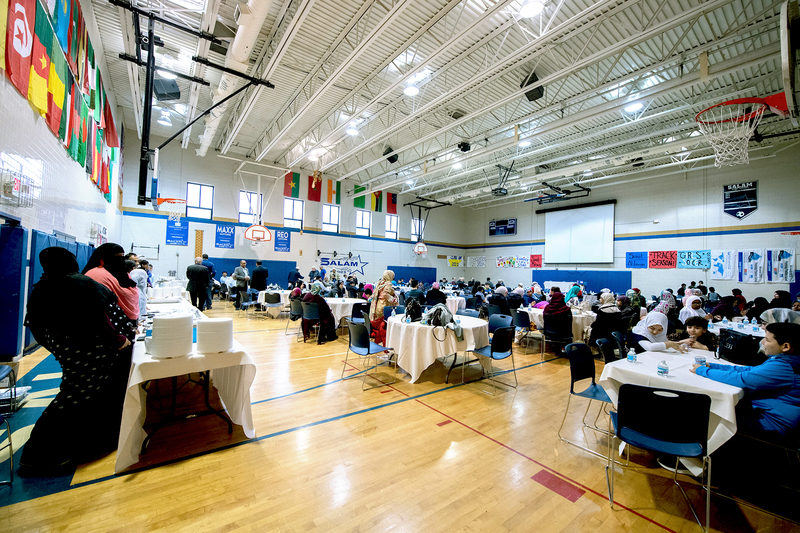 Then as the attendees went to offer their evening prayers, the round tables were put away and the space was turned into a lecture hall. 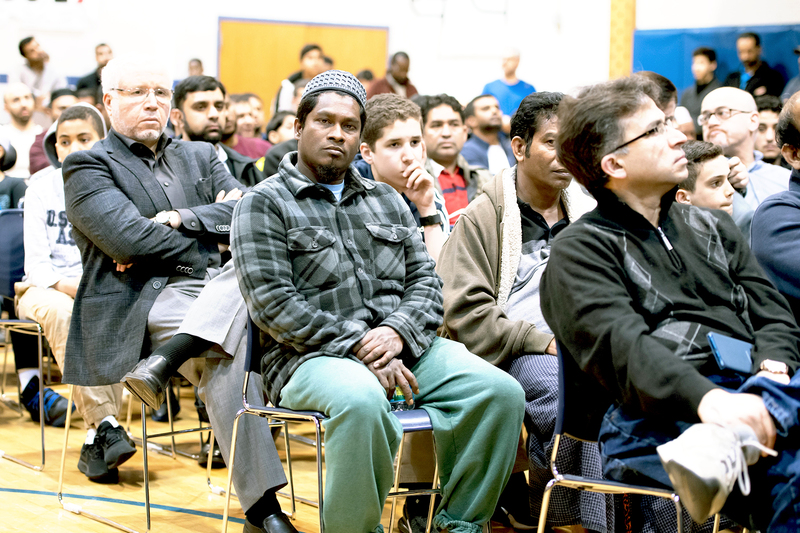 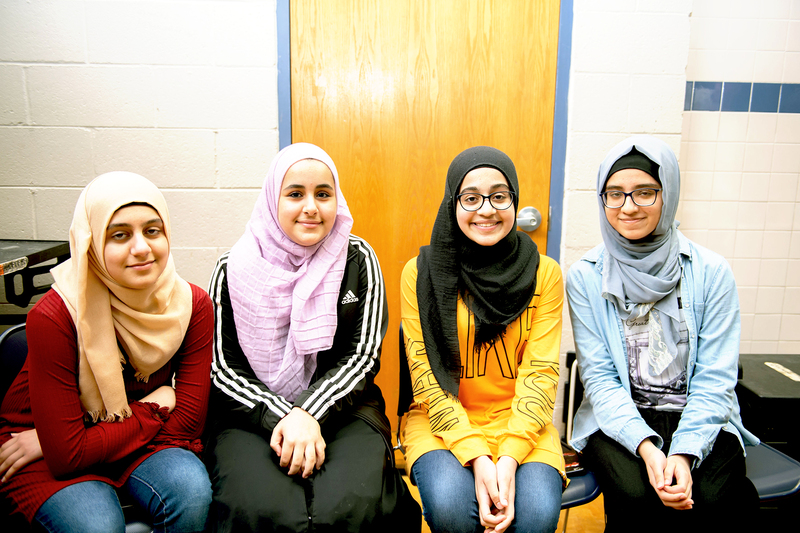 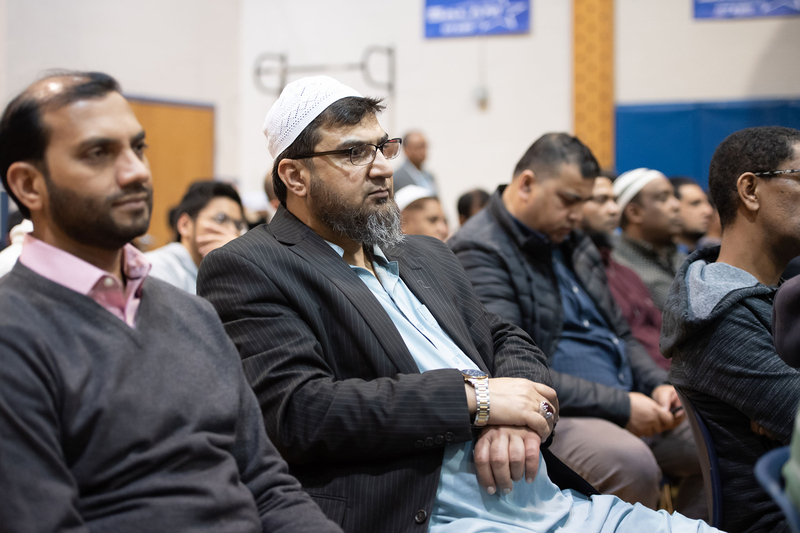 The three speakers included Dr. Zulfiqar Shah, the resident scholar of the Islamic Society, Imam Noman Hussein, who leads the ISM Brookfield Mosque, and Shaykh Ziad Hamdan, a prayer leader and instructor at ISM. 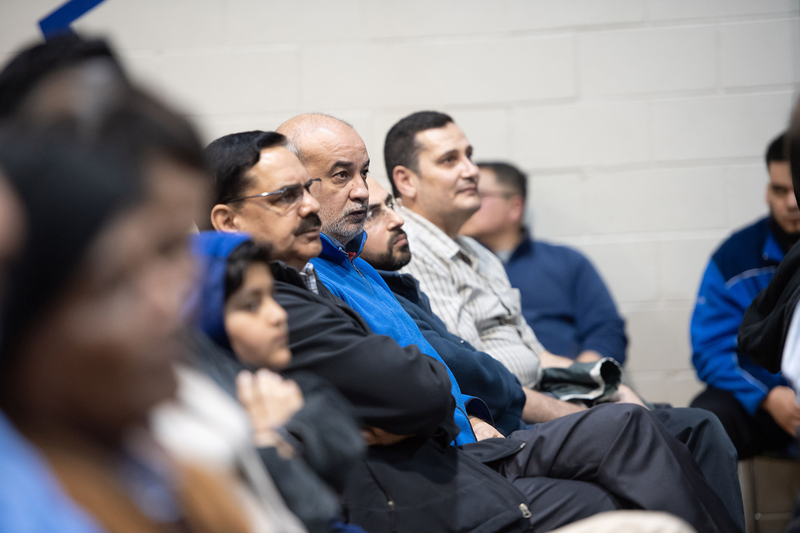 Dr. Zulfiqar Shah called the Isra’ and Mir’aj as “the pinnacle of Prophet Muhammad’s prophethood.” He mentioned the incredible symbolism within the Quranic verses and the story that relays the event. 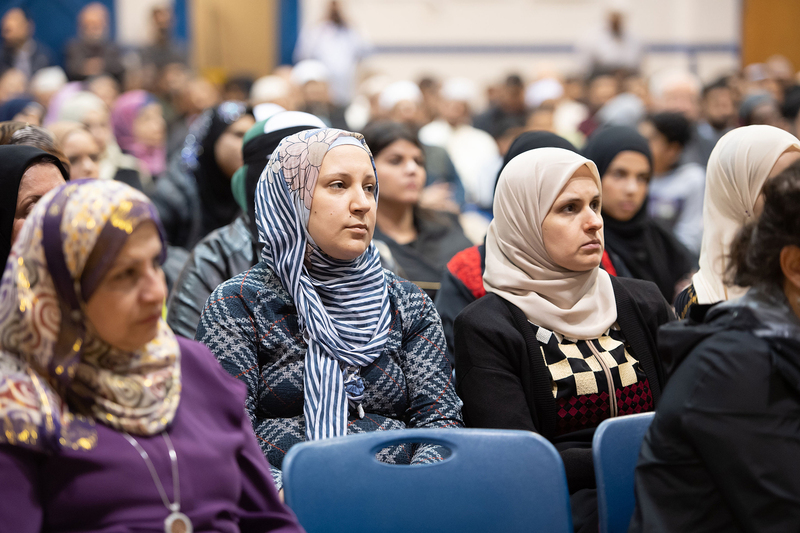 The Quranic verses highlight that it was God that purified and sanctified Jerusalem and made it holy for all people. 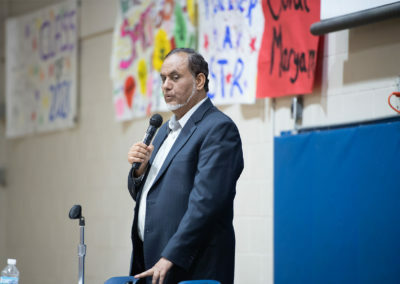 Dr. Shah quoted a famous Muslim scholar who said, “Mecca was made holy by Prophet Abraham, Madina was made holy by Prophet Muhammad, but it was Allah who made Jerusalem, holy.” The first congregational prayer conducted by the Prophet Muhammad was in Jerusalem. 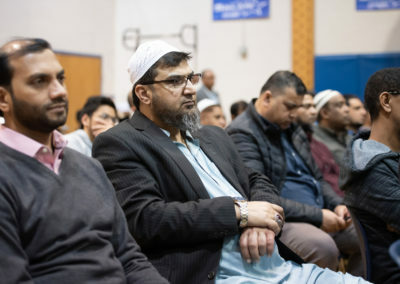 He also reminded the Muslims in attendance that in every prayer, Muslims not only ask God to bring peace and blessings on Prophet Muhammad and on the progeny of Muhammad but also Muslims ask God to bring peace and blessings on Prophet Abraham and on the progeny of Abraham. 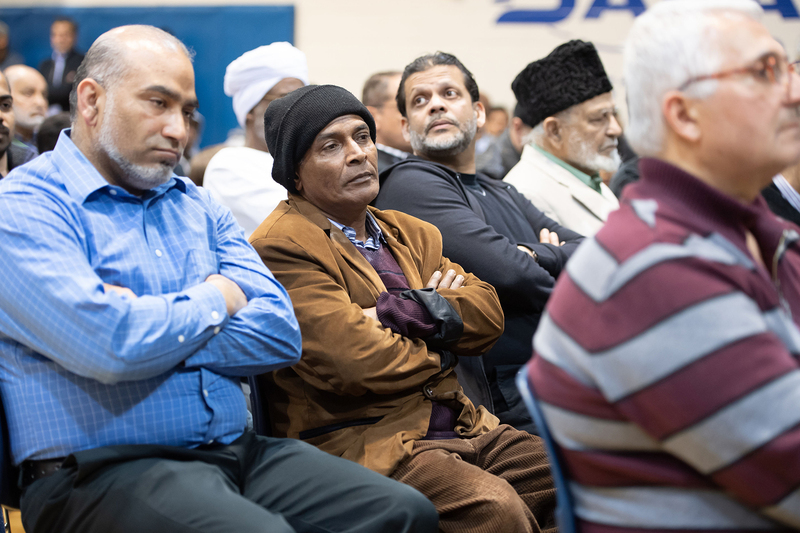 “Who is the progeny of Abraham?” Shah asked. 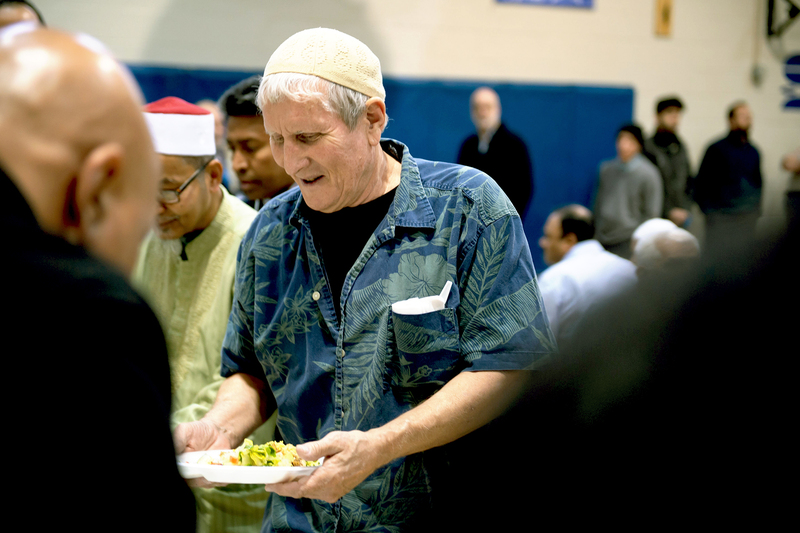 How many faiths on earth make it a requirement to pray for humanity? 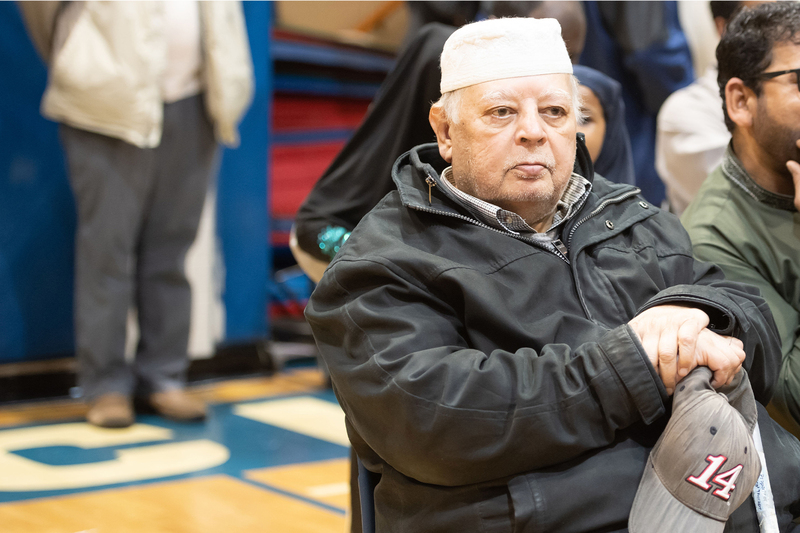 He also reminded Muslims that as Trump and Netanyahu of Israel arrogantly make decisions on Jerusalem and the holy sites of Muslims, it needs to be well known that Jerusalem and Al-Aksa compound is not just crucial to Palestinians and Arabs, but for all Muslims. Shaykh Ziad Hamdan gave a historical perspective. 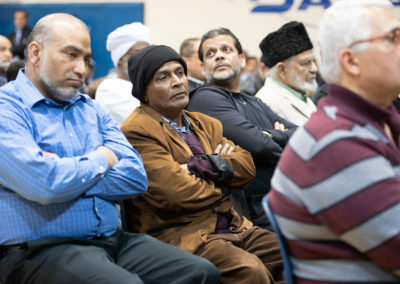 He spoke how often Al-Aksa compound is referred to and mentioned in the Quran and the Hadith (traditions of the Prophet Muhammad). 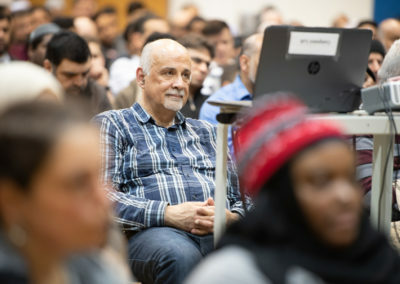 He explained that it is the second Masjid (place of prostration or Mosque) that was built on earth, it is the first Qibla for Muslims, the third most sacred Mosque and the site of the Isra’ and Mi’raj. 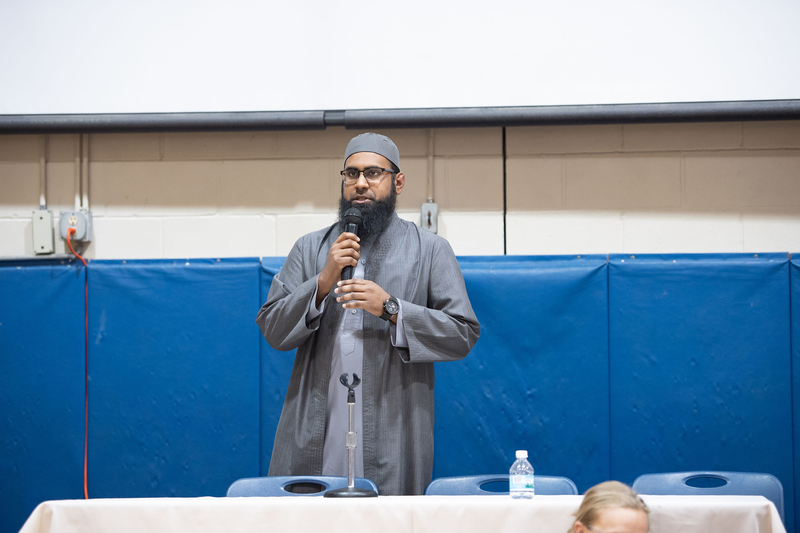 Hamdan reminded everyone that it was the Caliph Omar who rebuilt the site. Shaykh Hamdan spent his time discussing the injustices faced by Palestinians and Muslims at the hands of the Israeli government. 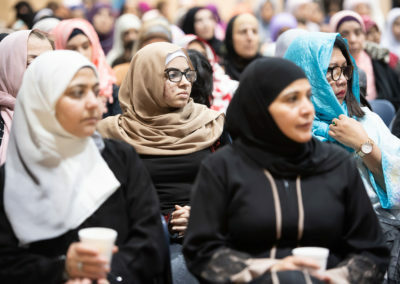 This included the routine banning of Muslims from entering the Al-Aksa compound, yet opening it up for armed Israeli soldiers and armed settlers. 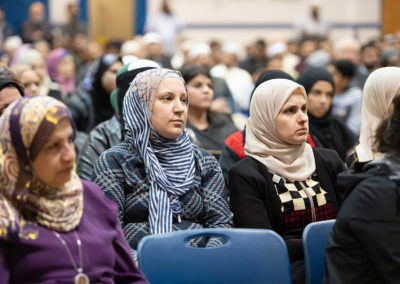 He showed numerous slides showing Israeli soldiers and settlers storming the Aksa and beating Muslim worshippers. 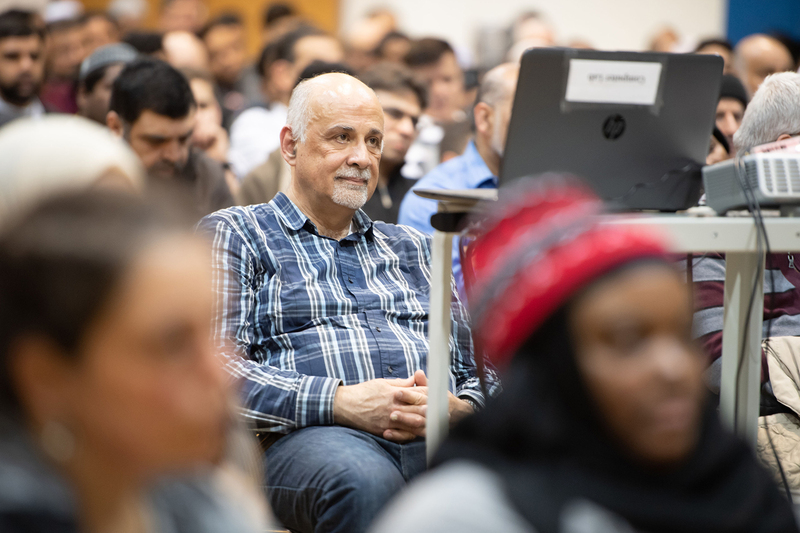 He also showed how the apartheid wall was choking off Muslim areas from access to Jerusalem and how Muslims living in Jerusalem were refused building permits to fix their homes. 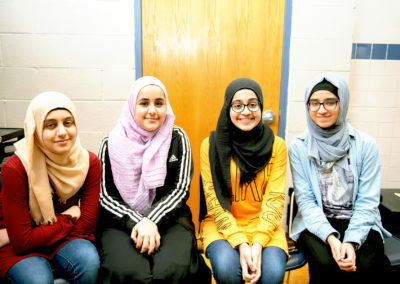 This then became an excuse for the Israeli government to seize them. 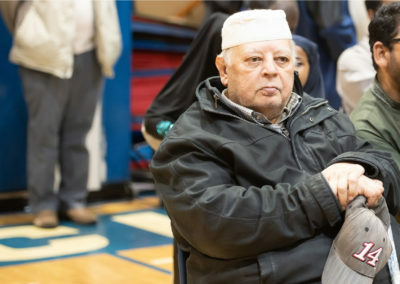 Hamdan reiterated that decisions regarding Jerusalem and Israeli settlements being made by President Trump are in violation of all international laws and that Netanyahu was emboldened by having Trump and Trumps’ son in law, Jared Kushner supporting Israel’s most extreme policies (Kushner’s father founded the largest illegal Israeli settlement in the West Bank). 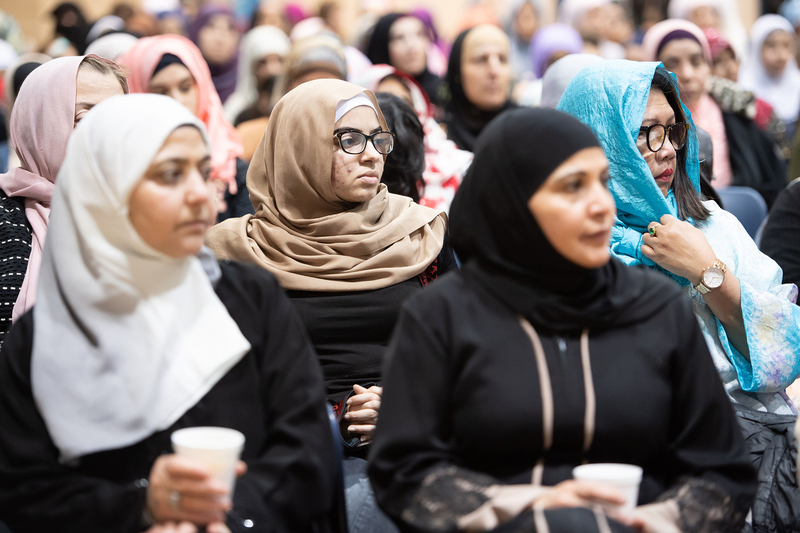 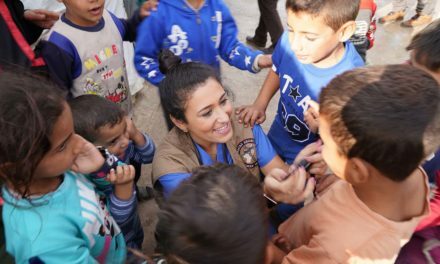 What was absolutely clear, is that although the audience was overwhelmingly non-Arab Muslims, everyone firmly believed that for them, regardless of who politicians pander to, Jerusalem and Al-Aksa compound will always be an inseparable part of Muslim faith.